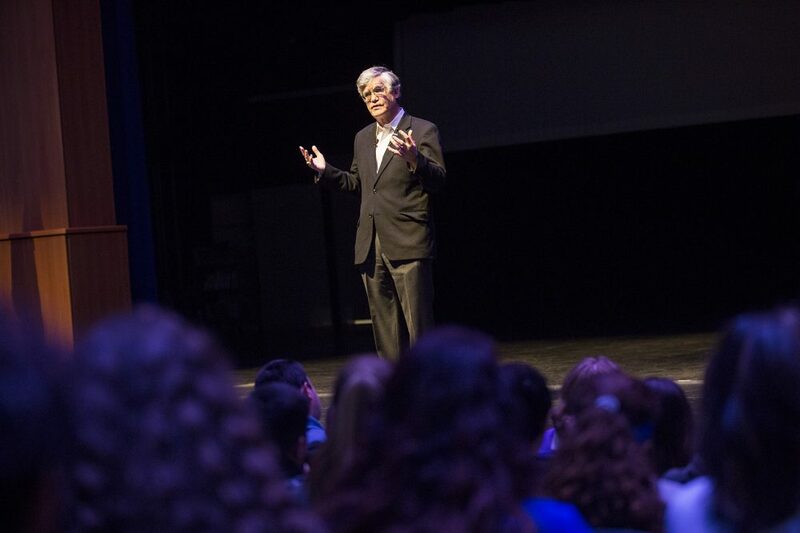 A former New Hampshire Supreme Court chief justice is visiting schools in New England to talk about the darkest time in his life. Usually he ends up hearing from students about some of their dark times, too. The former justice, John Broderick, wants to encourage people to talk about mental illness, so he tells the story of his oldest son. "He was a really talented artist and so he spent a lot of time in his room with the door closed, at his desk, drawing. Today I would describe it as withdrawing," Broderick says. That withdrawing, Broderick says, was the first sign that something was wrong. But his family didn't know much about mental health, so they let it go. In college, Broderick's son began drinking -- heavily. When his son moved home to go to graduate school, his drinking was bad and addiction specialists told Broderick and his wife to kick their son out of the house. "It was the hardest decision we ever made, and the worst decision," Broderick says. "It was well intended but absolutely the wrong choice. At that point no one -- no doctor, teacher, neighbor or family member — ever asked, 'Do you think he has an undiagnosed mental health issue?' We had no idea." But soon Broderick found out. He let his son move back home. Broderick believes, however, that because of the trauma his son suffered living on the streets for a few weeks, his mental health issues worsened and erupted to the point where Broderick woke up in the hospital, not knowing what had happened. At first the doctors told him he fell; later he learned that his son beat him. "One night he assaulted me," Broderick says. "I went to the intensive care unit at the Elliot Hospital. I was there six or eight days, I have no memory of that. My handsome, funny, master's-educated son was arraigned in a public courtroom, issued an orange jumpsuit, and went to the Valley Street jail." His son ended up serving three years in prison, and Broderick felt hopeless and questioned whether to leave his job to keep his son safe. "I was on the Supreme Court at the time and 20 to 25 percent of my day job was hearing appeals from the very population with whom my son would now be living," Broderick says. "I wasn't really popular at the state prison. That'll keep you up at night, by the way." But jail marked the first time that his son's mental illness was diagnosed and treated. After a 30-day evaluation, the prison psychiatrist told Broderick that his son was suffering from severe depression, anxiety and panic attacks. His son began taking medication and Broderick saw the changes during prison visits. "He said, 'Dad, I feel so different. I haven't felt like this since I was a kid. I can sleep, I'm focused, my mind is not racing anymore,' " Broderick says. "When he told us that that night, I knew that we had failed him. I was the parent. I should have known something about mental illness." 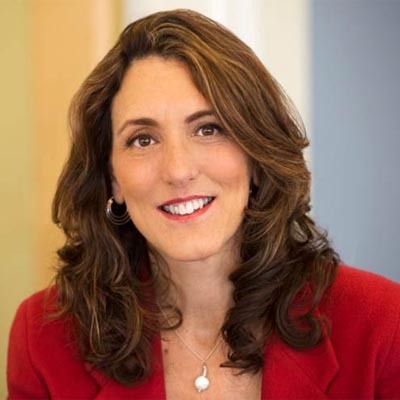 To help others know something about mental illness, Broderick has addressed more than 200 groups around New England over the past two years. He wants people to be as familiar with the signs of mental illness as they are with the signs of physical illnesses such as heart attacks or strokes. He's asking young people to work with him on a campaign called changedirection.org to promote more open dialogue. "I need your help to start a different conversation than my generation had. My generation hid it," Broderick says. Broderick tells the students how much has changed just during his lifetime. He recalls the ashtrays throughout his childhood home, and open racism. "If we can eliminate ashtrays from the culture I grew up in, where everyone smoked — or at least it seemed they did -- and elect an African-American president when racism was tolerated and sometimes championed," he says. "We can change the culture around mental illness." 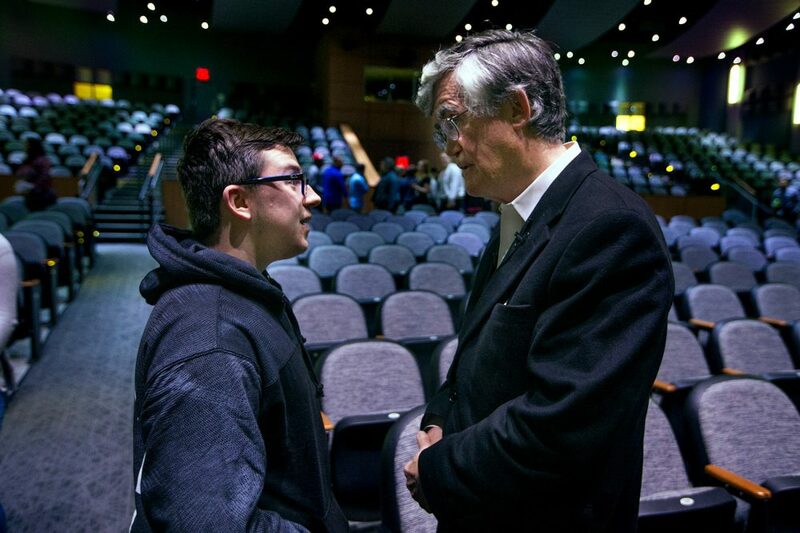 After a presentation in Salem, New Hampshire, several students approach Broderick, including one 15-year-old who is weeping. "I just wanted to thank you because your message is so important," the student says. "I think it's really important for people to understand that people are suffering and it's not OK."
"Are you suffering?" Broderick asks. "Are you seeing someone and getting help?" Broderick asks, and she nods. "Good for you. You should feel zero shame, OK? So stick with the program." The students share stories about their mental health or their loved ones. They ask how to help. One young man tells Broderick about his friend’s suicide. "A friend of ours passed away a year ago Saturday, he took his own life," the student says. "The whole time I was listening to your story I couldn't stop thinking about him." "You know something?" Broderick replies. "That young man didn't ask for that problem and if you, because my generation missed the boat, and if your generation says 'enough of this nonsense,' we'll start talking about it." Broderick believes this upcoming generation is the least judgmental in history and he hopes he's making a difference in inspiring change. "It's the single most important thing I've ever done," he says. "It's acutely personal and people share their stories with me that they never would share with me because I was a judge; they don't care. What they care about is, 'This guy will understand and he's advocating for people like me.' 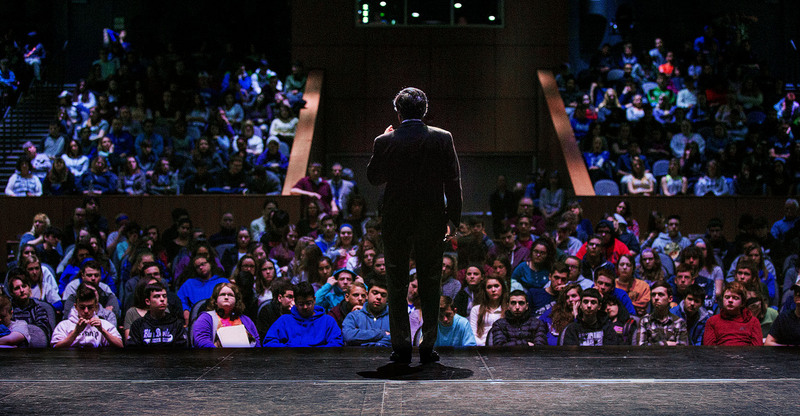 If I could speak to a different high school every day, I would do it." Broderick has spoken at about 75 New Hampshire schools and is talking with officials in other New England states. His son is doing well. He hasn't touched alcohol since before he went to prison, and now has a 9-year-old daughter. This segment aired on May 7, 2018.